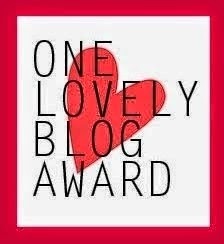 Kerryn from Ancestor Chasing very kindly nominated me for the One Lovely Blog award. Thank you, Kerryn! You can see her nomination here. ◾Share seven things about yourself – see below. ◾Nominate 15 bloggers you admire –or as many as you can think of! 1. I swear even more in my internal monologue. 2. I am completely dependent on Pura Classic Mocha flavoured milk. 3. I watch less television than virtually every other person you know. 4. I have managed to reach middle age without ever leaving the country. 5. 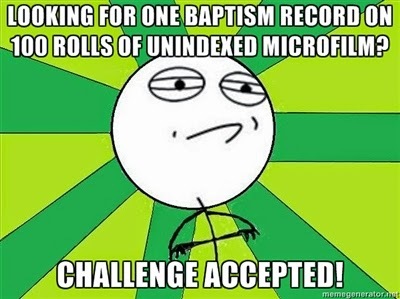 I've been doing serious family history research for more of my life than I haven't. 6. I really hope I started young enough to get it up to a standard and level of completion I'm happy with before I peg out, because I hate not seeing things through. 7. My idea of getting out for some exercise is going for a walk to visit relations at the cemetery. She's been nominated previously, but I'm sure it's no shock one of my very favourite blogs is the completely awesome Clue Wagon: hitting the genealogy world with a much needed clue by four. I also enjoy hearing what Catie from Genealogically Speaking has to say. As a fellow Gen Xer (and person with few mutual relations), Alona from Lonetester always has something I find interesting and informative. Continuing on the age bracket theme, I highly recommend people go check out Carrie, DOM*, at Not Your Mother's Genealogy. Another must-see is Lynn's work on The Armchair Genealogist. They all rock! There's been a recent change of focus on the Rebel Hand blog to update those of us aiming to be 'shoestring genealogists' on bargain information sources. Of course I get all my genealogy tech tips from Thomas at Hack Genealogy and look to the good people from Geneartistry for ideas about how to incorporate more visual flair into presenting my research and displaying my heirlooms. It's been quiet on the blog front since Catherine passed away, but Saving Graves is still a must read for those with family buried in SA. Some related-to-but-not-actually-genealogy sites I follow include Victoriana Lady and The Thanatos Archive. Also along those lines I recommend Gerri Gray's Cemetery Photography. Just remember: the first rule of Cemetery Club is you don't talk about Cemetery Club. And, bending the rules because I can: the two people online whose every type written word I hang on are no doubt the good people behind literary analysis team Thug Notes and the recipe writing genii at Thug Kitchen. Love their work. You make me laugh and your wicked sense of humor is what I love about your blog.